The initial explanations for Facebook spinning off its messaging feature into a separate application made sense, despite the vocal disapproval of many. With all the discrete capabilities being added, it would be a daunting task to keep everything working smoothly with one app. Well Facebook is not done with Messenger, not be a long shot. On Wednesday, Mark Zuckerberg unveiled the social network’s plans to expand the functionality of Messenger dramatically. 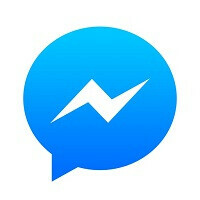 Many people may not realize it, but there are a few dozen apps that can connect to Messenger, making the service a budding e-commerce platform. Facebook plans to capitalize on that by enabling users to shop online within the app, in some cases as easily as sending a “thumbs-up” icon. In addition to that, users will be able to track their orders through the app, make reservations, and send customized videos through Messenger. Merchants will be able to leverage Messenger’s core function to better communicate with their customers. For now, it looks like the “big box” names are waiting in the wings, but seeing as how roughly half of Facebook’s 1.2-1.4 billion customers use Messenger, it is an avenue that retailers will likely find difficult to ignore for long. IKR ! and add to that a less bloated app. Google and Amazon are already doing a great job at tracking orders and reserverations, etc. which facebook hasn't even started. And Facebook will be the absolute last place I'll feel secure enough to give my credit card info on. Ugh...Just stop, nobody wants this memory hogging piece of crap.